If you have been designing websites for a while it’s likely that you already know what a UNIX timestamp is. If not, it’s likely you haven’t got a clue which is why we at Pingler will hopefully be able to give you the lowdown about UNIX and why it’s useful. We will also give you some information about the UNIX timestamp converter tools. 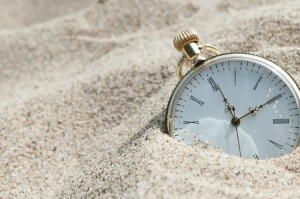 Simply put, a UNIX timestamp is a way of storing a specific date and time on your website. The timestamp itself is made up of a ten digit number which represents the number of seconds that have passed since midnight on the 1st January 1970, UTC time. The reason why UNIX timestamps are used by many webmasters is because they can represent all time zones at once. For example, a UNIX timestamp of 1296001734 can represent both 6.28pm on the 25th January 2011 in London, 11.28am on the 25th January 2011 in New York and 5.28am on the 26th January 2011 in Wellington, New Zealand. Why are UNIX Timestamps Useful? The best thing about a UNIX timestamp is that your website visitors can see your website in real time rather than the time zone of your website’s server. Timestamps are often used on forums that are used by members in locations throughout the world but they can be used in other occasions too – such as for recording when a member logs into a website or recording the time and date a blog post was published. This is great news for many webmasters for example for those who run a blog in the UK but predominantly want to attract American readers. There are a variety of tools online that enable webmasters to convert UNIX timestamps into readable format and back again, and there are a variety of reasons why you may want to do this. Maybe you want to decipher an unreadable UNIX timestamp or maybe you just want to make sure that your coding is correct. We at Pingler have our own UNIX Timestamp Converter Tool which is completely free to use. All you need to do is input your UNIX timestamp and click continue. Our software will tell you the UTC (or GMT) from your timestamp information. UNIX timestamps can be integrated into a variety of different coding applications but there are a few things that you should keep in mind. Whilst UNIX is one of the best ways to show your reader’s real time no matter where in the world they are, the timestamps do have their limits. It is expected that the 32-bit form of the timestamp will cease to function on the 19th January, 2038 due to the seconds exceeding the ten digit code. Many webmasters believe that this will cause a variety of websites to crash however it is thought a 64-bit code will be in place well before then. « Do You Know Which Keywords You Should Be Targeting? Everyone loves what you guys tend to be up too. This type of clever work and coverage! Keep up the superb works guys I’ve added you guys to my blogroll.